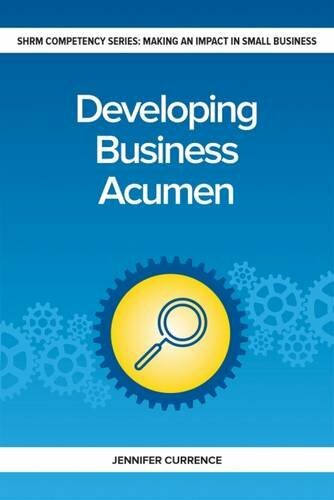 Read about Developing Business Acumen in HR Magazine's Book Blog. Read Jennifer's article on using competencies to boost your HR career. The small business HR professional has a unique work environment. For one, HR departments in small businesses are typically quite small, often consisting of only one or two employees. Because of this, these HR professionals are usually expected to be generalists able to answer all HR-related questions. But because there are only one or two of them, they are also expected to be specialists in those same areas. With so much responsibility, how do small business HR professionals have time to focus on their own professional development? And where to start? This is the first book in the "Making an Impact in Small Business HR" Series.